Ice coldly reflects the flamboyance of the flames as they waltz across the timbers and reduce everything to ash. This is not a typical prairie fire Edward is accustomed to. Edward realizes he just lost everything. Robison captures images of flames of a prairie fire against a brilliant sky. 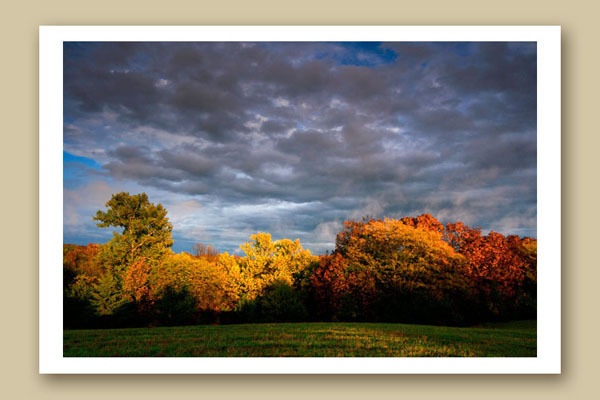 Edward C. Robison III is an accomplished landscape photographer. His connection to nature and his recognition of what is sacred are evident in his photographs. It is what draws people to his work. Growing up in the great outdoors, Edward attributes his love of the landscape to time spent exploring with his father. His acute perception to the natural processes surrounding him inspired his creativity early. He began capturing nature’s moments with paint on canvas. As a young adult he followed his passion with formal art studies. Edward studied at the Kansas City Institute of Art, an institutional leader in visual arts education. The Kansas City Institute stressed the importance of substance in art. It is here that Edward recognized the effect of incorporating a strong spiritual element in his work. Following his studies, an internship with renowned landscape photographer Michael Fatali led him to trade his paint and canvas for a camera. Michael Fatali is best known for his large format photographs of the slot canyons in Utah. Fatali openly acknowledges that he photographs, “places of mystery” where he feels, “at peace with the power of the Earth’s spirit.” Fatali believes his photographs are reflections of the “light and power” of nature. His influence on Edward’s work is unmistakable. Edward’s richly layered yet masterfully simple photographs are meditative moments. They allow the viewer to intimately connect with a sacred space in nature that they may have never witnessed on their own. Edward was living with his family in Eureka Springs, Arkansas in 2009 when a record breaking ice storm struck the area causing major devastation. A fire resulting from the storm’s damage claimed the artist’s home and everything in it. 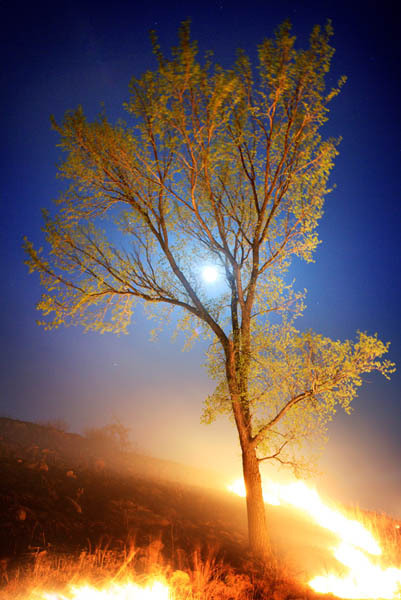 Despite the personal impact, fire is only reverently portrayed by Edward in his photographs of prairie fires in Kansas. 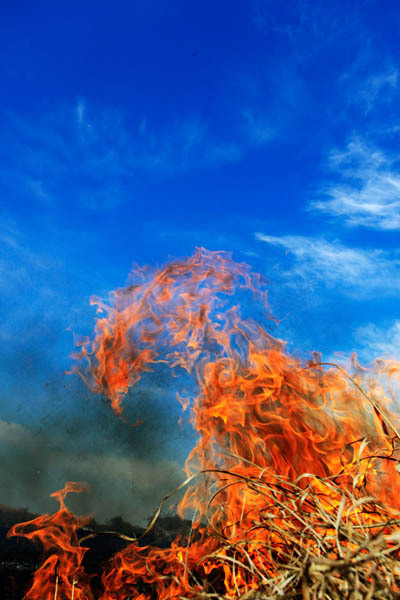 As if listening to the hardy grasses of the prairie, he has used fire to find his strength. More than just the likenesses of a place under beautiful light, Edward’s photographs are like the quite hum of bees in a field or a softly stirring breeze through woodland trees. They nudge the viewer to joie de vivre, an exuberant enjoyment of life. The ethereal qualities of Edward’s photographs have naturally placed them in the internationally acclaimed Sierra Club Desk Calendar 4 years in a row and although he could call anywhere home, Edward C. Robison and his family still live in Eureka Springs where he continues to find beauty in his backyard. Edward C. Robison III captures the sacred in his backyard with his camera. His book Postcards From Eureka focuses on the eclectic beauty of the town. His gallery, Sacred Earth, is located just west of Eureka Springs and catalogs his progress and travels. His work can be viewed and prints can be obtained from the Sacred Earth Gallery website. Chances are if you are looking at an amazing photograph of the sun setting on Beaver Lake or Eureka Springs, it is Edward’s vision and image. 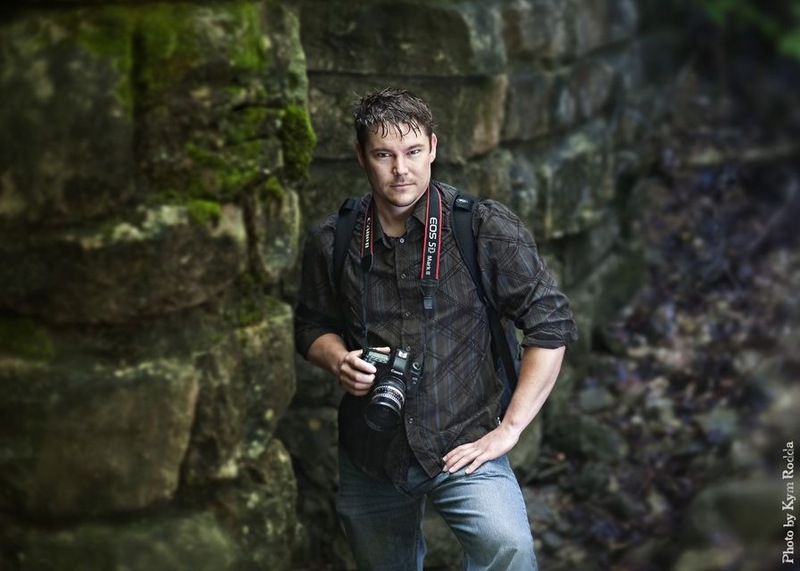 His photographs are in high demand and are often used to promote Eureka Springs and the surrounding area. His work is featured on EurekaSprings.com, the Arkansas Art Trail, and more recently the Buffalo River National Park Region. Register to attend a Prairie Fire Photography Workshop with Edward in March and see his work displayed in the lobby of the Grand Central Hotel and other downtown Eureka Springs establishments. Follow Sacred Earth Gallery on Facebook. See Edward’s books The Kansas Landscape Volume I, The Kansas Landscape Volume II, Panoramic Kansas, Nature of Kansas Lands, and Postcards from Eureka: A Photographic Journey of Eureka Springs Arkansas. Downtown Eureka Springs as seen through Robison's eyes. If you love art, Eureka Springs is a must see. Recognized as a Top 25 Art Destination by American Style Magazine, Eureka Springs is home to world class art galleries and hundreds of working artists. The mountain town celebrates art the entire month of May with the Festival of the Arts. See detailed events on the Official Eureka Springs Calendar of Events. Visit EurekaSprings.com and discover where to stay and what to do. 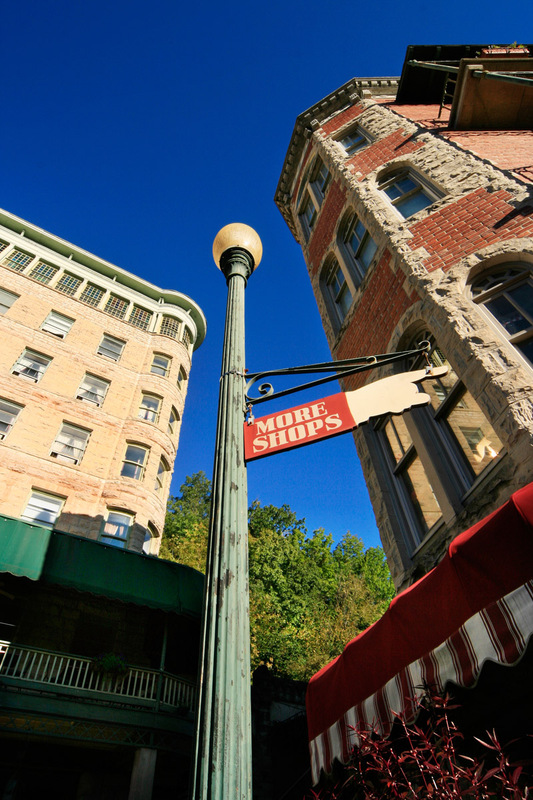 The Greater Eureka Springs Region means you will not run out of things to do. Crystal Bridges Museum of American Art, the Arkansas Art Trail and the Buffalo River National Park are just a few of the attractions you can enjoy with a short, scenic drive from Eureka Springs. This entry was posted on February 23, 2012 by estcblog in Arts & Culture, Shopping and tagged Arkansas, art galleries, Eureka Springs, Outdoor, photography, Top 25 Arts Destination.